Adobe competes in a number of increasingly crowded tech arenas, and its competitors — nay, gladiators — are as dangerous and cutthroat as they come. Adobe has made great strides in the cloud computing industry to become a formidable contender beside the likes of Amazon (AMZN), Microsoft (MSFT), and Google (GOOGL, GOOG). Adobe products may not be front-page news, but this $37 billion software company develops and maintains more than two dozen specialized programs that cater to the varying needs of both individuals and businesses. One of Adobe’s more impressive solutions is its Creative Cloud, an online suite of software for graphics and video designers, photographers, and web developers. Synchronized with ADBE cloud services, users can access files and works-in-progress from virtually anywhere, and they’re able more easily collaborate on projects thanks to real-time updating and sharing. ADBE isn’t the only technology big dog to offer cloud-based software and real-time sharing, but for professionals in creative industries it’s definitely one of the most popular. Since the beginning, Adobe has led the pack in terms of cutting-edge document creation, editing and security, as well as digital image production and manipulation, not to mention web design. 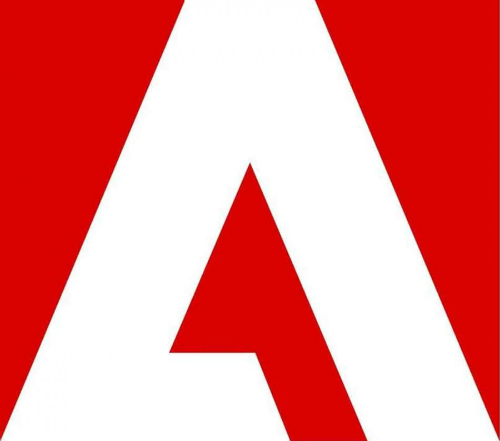 Last month’s scandalous Adobe Flash security breach by the Hacking Team, demands by industry leaders that ADBE shutter the program, and the subsequently unanimous termination of Adobe Flash support by Internet big dogs was actually a non-issue for Adobe stock. More of a boon for media fearmongers than anything else, Adobe Flash was only estimated to account for a tiny percentage of ADBE’s total revenue. Monday’s market-wide selloff was also a non-issue, as Adobe stock performance has since recovered about 1.5%. Overall, the recent dips seem to have been reactionary, little more than a ripple effect that swept across the larger market and happened to hit ADBE. In the long run, Adobe stock will continue to rise as the company strengthens its grip on the cloud computing and digital media creation markets.